Starting off the month with RO Perique Series Blend P-37 in a smooth straight early 1960s Lane era Charatan Executive Extra Large stretch apple with diagonal channel cuts on the lower right and left of the bowl along with a black vulcanite double comfort stem. This pipe was formerly owned by actor William Conrad. Now smoking Tabac Manil Reserve du Patron in an undated (1970s?) 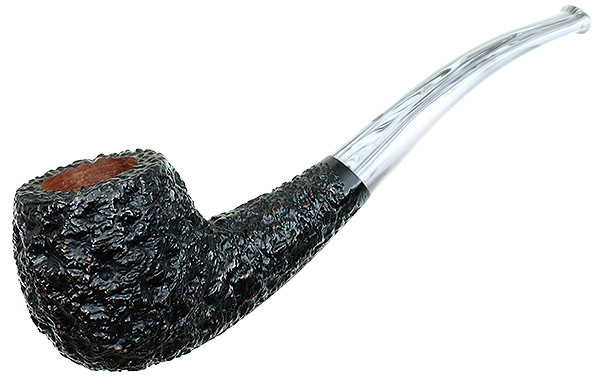 unbranded straight paneled sandblasted Tanshell Dunhill second with a black vulcanite stem. Now smoking Danny Kaye's Blend in a 2002 IMP smooth full bend egg shaped meer with a black acrylic stem. Watching Perry Mason. A quarter of the way through this bowl of Edgeworth Ready Rubbed Match in a very much appreciated 1979 brown, slight bend grain etched flat front Stanwell Rego 969-48 (09) with a black vulcanite stem. Watching Ellery Queen. 6yr. old Rattray's Hal O'the Wynd in a Tinsky Christmas 2011 sandblasted bulldog, with coffee, waiting for the morning paper to arrive. PS LTF in a straight MasterCraft apple with a sterling silver band and decent grain and one nasty fill, bottom right toward the shank. 7yr. old C&D Kajun Kake in a GBD Natural squat bulldog (549). Wessex CBD flake in the Castello Trademark billiard. The Danish Pipe Shop/Sam Gawith Brown Sugar Flake in a Savinelli Tortuga 804KS,Canadian (6mm). Earlier, it was Edward G. Robinson's Pipe Blend in a 1982 black sandblasted paneled slight bend Savinelli flat bottom sitter with a black vulcanite stem. Now, just finishing C&D Burley Ribbon Cut in a 1970s slight bend black sandblasted Comoy's Silver Cloud 624 sitter with a silver pearl gray acrylic stem. Watching Mad Dog Russo. Now smoking Seattle Pipe Club Deception Pass in a slight bend 1970's Caminetto 102 Business KS billiard with a fumed rim with a pearl gold acrylic stem. A bottle of Summit Sparkling Ginger Beer; no alcohol, made with pure cane sugar, and botanically brewed, is my drink. First smoke of the month is RO Firestorm in a **Ferndown Bent Billiard (Bark). 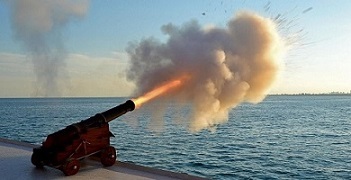 Drexel VIII in a Falcon. One flake, fold and stuffed is perfect for the standard Falcon pipe bowl. First impression is an uncased mild version of LNF. After about 10% into the bowl the Perique disappears. Nothing special. If the Perique hung around I'd prefer LNF over this. Since it disappears, I'd say Newminster 400 is more enjoyable. LJ Peretti Tashkent in a 70s leather-covered & bent Ropp, vulcanite stem (9mm). D&R Rimboché A.P. in a Radice Rind billiard. Focus is on the MacBaren HH flakes today, first some ODF and now, the Latakia Flake. HU Tobacco Zulu in a Peterson Sherlock Holmes Stand (9mm). Just finished smoking D&R Windsail Silver in a 1983 Ben Wade Duo 65 smooth Poker with a black vulcanite stem. Ice tea and bergs is my drink. Now smoking C&D Dreams of Kadath in a mid-70s straight smooth octagonal paneled Jeanet (made by Chacom) billiard with a black vulcanite saddle stem. Watching Gunsmoke. Penzance in a Turkish Meerschaum Smooth Chimney (9mm). Now finish Mystic Blend in a cob from last night DGT. Peterson Old Dublin in a Peterson Shannon. Now smoking year 1936 Briggs Mixture in a smooth medium bend 2002 Peterson Sherlock Holmes Series Milverton with a sterling silver band and a black vulcanite p-lip stem. Watching Perry Mason. C&D Kajun Kake in a GBD Popular squat bent bulldog (549). Now enjoying Tabac Manil Reserve du Patron in an undated (1970s?) unbranded straight paneled sandblasted Tanshell Dunhill second with a black vulcanite stem. Ice water and floaty li'l icebergs is my drink for the evening. Relaxing after a wonderful chicken casserole dinner with a bowl of Esoterica Dorchester in a smooth straight late ‘50s, early 1960s Lane era Charatan Selected 43 Dublin with a black vulcanite double comfort stem. This pipe was formerly owned by actor William Conrad, too! My second Conrad pipe. Now smoking 1960s John Middleton Crosby Square in a smooth straight 1980s James Upshall Walnut pot with a black vulcanite stem. C&D's Billy Budd in a WGM rusticated cherrywood meerschaum. Salty Dogs Plug in a Ferndown Bark apple. Now smoking Watch City Deluxe Crumb Cut in a 2016 PSF POY quarter bend black sandblasted Vermont Freehand egg with an aluminum band and a tortoise shell colored acrylic saddle stem. Watching Maverick. Now smoking 2012 Anniversary Kake in a smooth medium bend 1979 Chippendale (Charatan second) Rhodesian 49 with a black vulcanite stem. Working and listening to Fibber McGee and Molly. Orlik DSK in a Savinelli 122. Wild Hare in a BB&S Londoner. Semois in a Cassano Poker. Think I enjoy it more in a cob - next time. Finished work, had a couple slices of pizza, fed the cats, and am now smoking MacBaren Modern Virginia Flake in a post WW2 Pre-Republic Peterson Dublin straight smooth X155 Bulldog with a sterling silver band and a black vulcanite p-lip stem. Watching the PBS documentary on The Beatles. Last smoke of the day is Angler's Dream in a 2001 Karl Erik Ekstravagant A medium bend with a pointy bottom and a wide top with a black acrylic stem. Watch City's Old Dominion in a Castello Sea Rock (kkk), with coffee, waiting for the morning paper. LJ Peretti Omega in a 2017 Peterson POTY (9mm). Starting off my smoking day with a bowl of Sobranie of London The Original Sobranie Flake Rich Virginia in a 1984 black sandblasted straight Dunhill Shell 4103 Billiard with a black vulcanite stem. A bottle of Boylan's Root Beer made with pure cane sugar is my drink. Watching Gunsmoke. P&C's Sundown (by McClelland) tweaked with a bit of McC's Turkish blending leaf, in a Rinaldo Silver Line (SL-8) (YY) squat bulldog. Samuel Gawith Best Brown, cube cut, in a Peterson 2014 Pipe of the Year- a smooth, straight billiard w/ army mount. GLP Haddo's Delight in a Peterson 150. Now smoking Edward G. Robinson's Pipe Blend in a 1982 black sandblasted paneled slight bend Savinelli flat bottom sitter with a black vulcanite stem. Watching Wanted: Dead or Alive. Lane Ltd. Crown Achievement in a Rattray's No. 97 The Clan Collection, lovat (9mm). DeathMetal's Massacra in an Invicta bent bulldog. Not far from finishing this bowl of year 1936 Briggs Mixture in a smooth medium bend 2002 Peterson Sherlock Holmes Series Milverton with a sterling silver band and a black vulcanite p-lip stem. Watching The Lone Ranger. Part way through this bowl of Wilke #515 in a medium bend smooth paneled 2017 Celebi Turkish Meerschaum with a gold and black swirl acrylic stem. A bottle of Cheerwine made with pure cane sugar is my drink. Phone chatting about the world! Peterson University Flake (tentative title for my autobiography, sans Peterson) in a Dunhill '07 Shell Briar, panel pipe (9mm). Now smoking 2000 Friedman & Pease Inverness in a 2002 Ser Jacopo Delecta Fatta A Mano R1 sandblast Rhodesian with a smooth extension at the shank with a black acrylic stem. Peterson 3P's (Peterson's Perfect Plug) in Stanwell Handmade 251, Danish apple (9mm). Just finished smoking C&D Happy Hour in a smooth medium bend straight grain 2000 Winslow C silver spigot wide top Dublin with a canted plateau and black acrylic stem. Now smoking C&D Dreams of Kadath in a mid-70s straight smooth octagonal paneled Jeanet (made by Chacom) billiard with a black vulcanite saddle stem. Ice water and bergs is my evening drink. Watching The Lone Ranger marathon even though I own the series unedited on DVD. Orlik Golden Sliced with added SG Pure Louisiana Perique in a GBD Prehistoric 127 billiard.